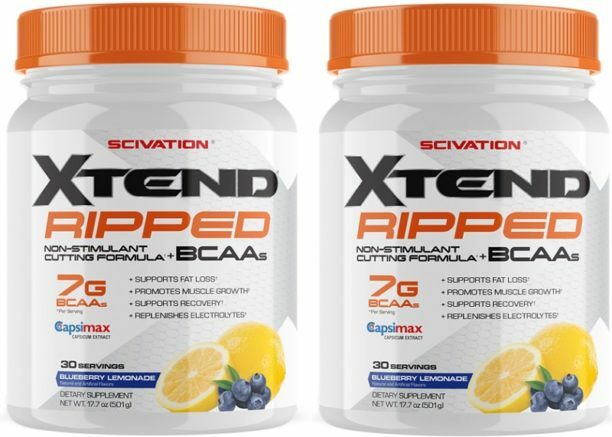 Scivation isn’t new to the supplement industry, and neither are their Xtend branch chain amino acids. Founded back in 2004, Scivation was one of the first brands to offer a power-packed and pure BCAA product. One which gained massive appeal and really didn’t even need to change for many years. Flash forward to the present, and Nutrabolt (1), subsidiary of Woodbolt Distribution (2)(3), has revitalized the Scivation brand by completely focusing on one wing – Xtend. This is so drastic, that the Scivation website no longer even exists. Now, we have the Official Xtend store in its place. 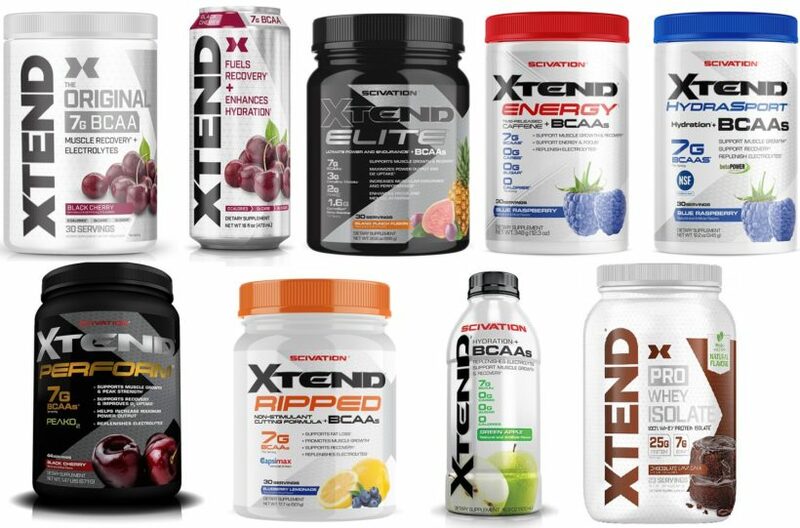 But its not just one product anymore… Xtend now represents a total of 9 BCAA variations plus protein. 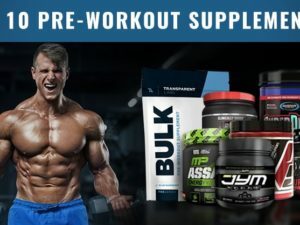 Here, we are going to share our review of each Xtend BCAA supplement, ordered from best to least good. 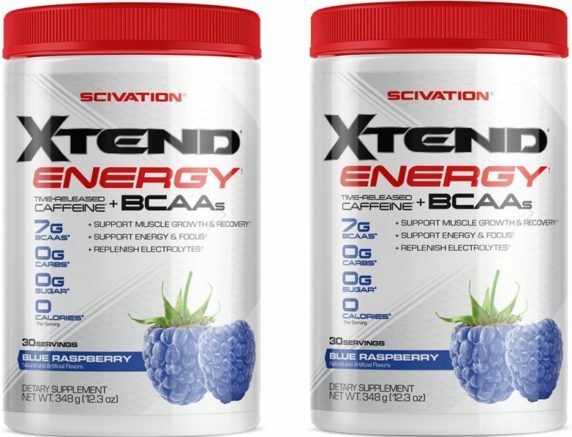 After reading this review, you will know which Xtend BCAA is made specifically for you. Disclaimer: BWSB is not affiliated with Scivation and did not receive product for free. This review is by request of our readers and at the expense of BWSB from start to finish. Feel free to comment at the end to share your perspective. 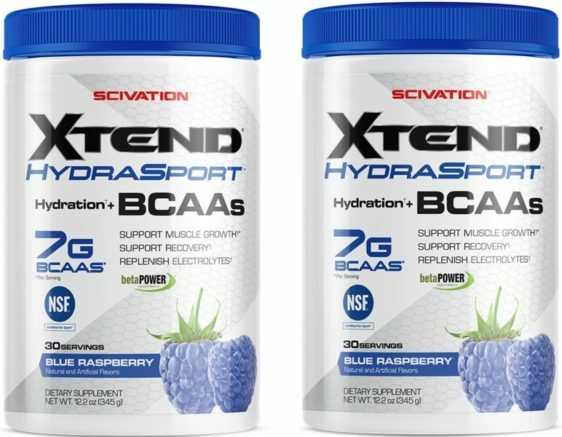 This is our overall ranking for all of Scivations Xtend BCAA supplements. Remember, each product is designed for a different person / situation – read each review carefully. Xtend Elite represents the most loaded version of Xtend available. At first, we were hesitant to place this version of Xtend in first place. However, it just made sense given the added value to the base-Xtend formula… All for an extra $10 bucks. That’s a pretty extensive ingredient list for a BCAA supplement. For comparison, the standard version of Xtend only contains the first 7 grams of BCAAs and costs $29.99 per 30 servings. With Xtend Elite, you are getting 5 additional ingredients for an extra $10 per 30 servings. Elite is the newest addition to the Xtend line, effectively replacing the former Xtend Perform. The main difference between the previous Xtend Perform and Xtend Elite is new flavor releases, a stabilization of 30 servings per container, 2 grams more l-citrulline malate, and 1.6 grams beta-alanine. 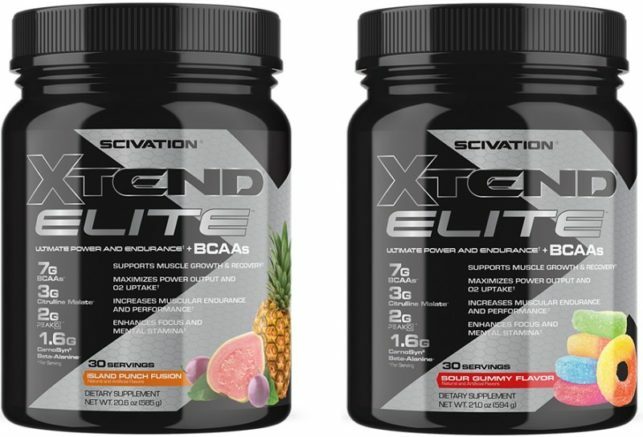 Bottom line: Per both effectiveness and value, Xtend Elite is the superior supplement made by Scivation. For $39.99 you are getting a complete 30 servings with no two-scooping required. In addition to 7 grams BCAAs, you are also getting a full serving of PEAKO2. Though, the beta-alanine and l-citrulline malate are lacking. This is a serious contender and will be ranking well on our overall best BCAA powders to buy guide. This represents the base-line Xtend BCAA powder. 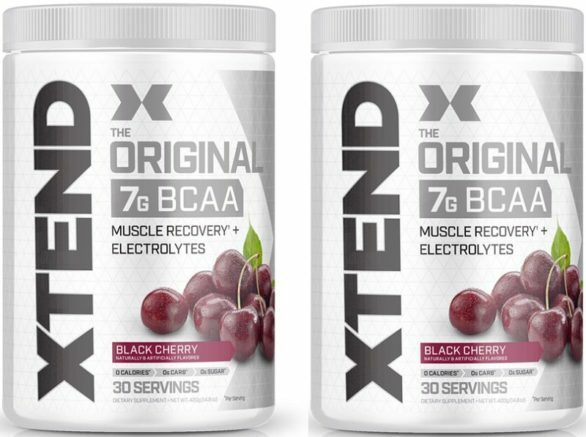 Advertised as both ‘Xtend BCAA’ and Xtend BCAA Original’, each serving provides 7 grams of 2:1:1 branch chain amino acids, 2,500 mg l-glutamine, 1,000 mg l-citrulline malate, and electrolytes. Considering that this is a $29.99 per 30 serving product, you’re getting quite a lot of value here. While Xtend Elite was superior to the former Xtend Perform, Xtend BCAA and Xtend Original are identical. There aren’t any noticeable changes between the two, except for a wider range of flavors. Over time, we expect the branding for each of these to become one singular product. Bottom line: Xtend original (aka simply Xtend) is a massive value at only a dollar per serving. There are countless BCAA competitors that charge this price and more for significantly less branch chain amino acids per serving. For that reason, standard Xtend is a sure-fire option for intra-workout and recovery needs. Excess weight on your mind? Scivation may have a solution for you if you are already enjoying BCAAs in your routine. Xtend Ripped combines all the standard ingredients found in regular Xtend with a fat burning matrix. Its not crazy expensive either. The extra Ripped formula is an extra $8 to the base Xtend per 30 servings. This is essentially the same original Xtend, just with CLA, l-carnitine, and Capsimax for $8 extra. Will it help you burn loads of excess fat? Not likely. But it will help you mobilize more fat for energy while you workout, and, for the price that’s not too bad. Bottom line: Xtend Ripped is a good consideration for increasing the thermogenic effect during workout. It isn’t going to completely replace a standard fat burner if you have serious weight to lose. However, if you want just a little extra help and do not want to commit to paying for a full-fledged standalone fat burner – this is it. Otherwise stick with the original. There are several BCAAs currently on market that include an energy blend, so it is no surprise that Xtend sought out to dominate it. Xtend Energy isn’t just a copy cat to other BCAA and energy blends. Instead, Xtend packs their full 7 gram BCAA dosage alongside a 125 mg caffeine complex. This makes us wide eyed, considering most other BCAA energy supplements contain less than 5 grams BCAAs. The primary value proposition for Xtend Energy is that you’re getting a complete-dosed BCAA and caffeine. The competition simply doesn’t deliver a true-dosed BCAA and that gives Xtend Energy a massive edge considering its economical $29.99 per 30 servings price. While Xtend Ripped and Xtend Elite both contained the complete Xtend base blend plus their specializations, Xtend Energy isn’t so cut and paste. For Xtend Energy, the full dosage BCAA, electrolyte, and l-citrulline malate exists. However, the 2,500 mg l-glutamine has been deleted. We’re not sure why, perhaps it will come back in the future. Bottom line: Compared to literally every other BCAA with energy supplement out there, Xtend has brought a more valuable product. It costs less than most, and contains far more than all. If you prefer caffeinated BCAA supplements over pre workouts then this may be the right choice for you. Just remember that it doesn’t include the l-glutamine found in standard Xtend formulas. Xtend HydraSport is an interesting take on BCAA supplements. The goal of this product is to improve your electrolyte balance and hydration while delivering 7 grams of BCAAs. To do this, Scivation has made a few changes besides just stacking additional electrolytes on top of the standard Xtend BCAA formula. For Xtend HydraSport, the electrolyte blend has been expanded to include betaine anhydrous, magnesium citrate, and coconut extract. This expands the electrolyte blend from 1,140 mg to 1,890 mg. While the new HydraSport contains additional ingredients in the electrolyte blend, there are even more deletions from the standard Xtend formula. For instance, l-citrulline malate and l-glutamine are completely gone. This may be in an effort to increase hydration by minimizing powder (influencing osmotic flow). However we’re honestly not sure. Bottom line: Xtend HydraSport may offer additional hydration to in-demand athletes, however its unclear how statistically relevant gains would be compared to standard Xtend formulas. For that reason, we have placed HydraSport lower on our review ranking. As we discussed above, Xtend Perform appears to be Scivations first attempt at Xtend Elite. Now, Perform can be found in stores and is still listed on the Xtend website, however its currently out of stock and we believe that it is phasing out. Essentially, this is the standard Xtend formula plus 2,000 mg PEAK O2. Its interesting to see that with the newer editions, Scivation has not only improved Xtend Elite, but the base Xtend formula as well. Bottom line: There is nothing wrong with Xtend Perform, but we’ve ranked it low because it’s clearly going out the door in favor of an upgraded base Xtend plus superior Xtend Elite formulation. Can’t stand mixing your own powders? Scivation has you covered not just once, but twice. Xtend now comes in both bottles and cans, the difference being that one version is carbonated and the other is flat. So, what makes up the Xtend Still (flat) bottles? In Xtend Still, you’re going to find all the same active ingredients as Xtend, just without l-glutamine. Even the additional ingredients section is similar, where we do not see any of the typical harsh preservatives that you typically find in RTD beverages. Bottom line: If you’re on the go and need your BCAAs in a bottle, Xtend Still will work. However, you are paying nearly a 3X premium for this ease-of-access. Is that really worth it to you? Only you can answer that question. 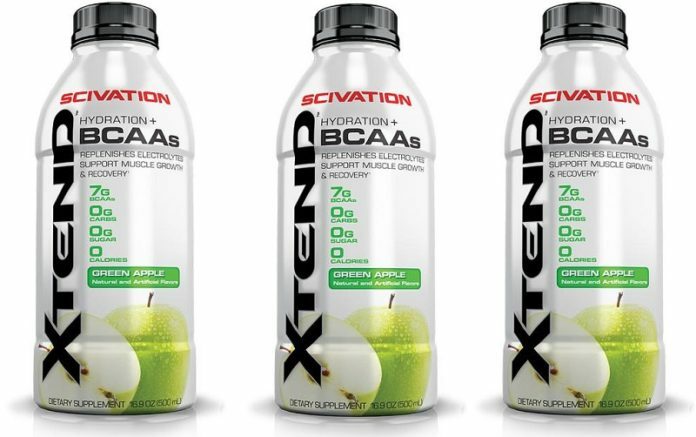 As alluded to above, Scivation also makes a canned version of Xtend rightly named “Xtend Carbonated”. Like Xtend Still, this version contains all of the standard ingredients you’d expect, without the l-glutamine. This formula is identical to Xtend Still, and the ‘other ingredients’ are almost as good with the exception of sodium benzoate found in canned form. For us, that’s not to be admired. However, its completely standard in soda-can style drinks and can’t be avoided. Bottom line: if you would like to get your BCAAs in the same format as energy drinks, then Xtend Carbonated offers a solution. Though, you will be paying significantly more for those BCAAs in comparison to just buying the powdered version. 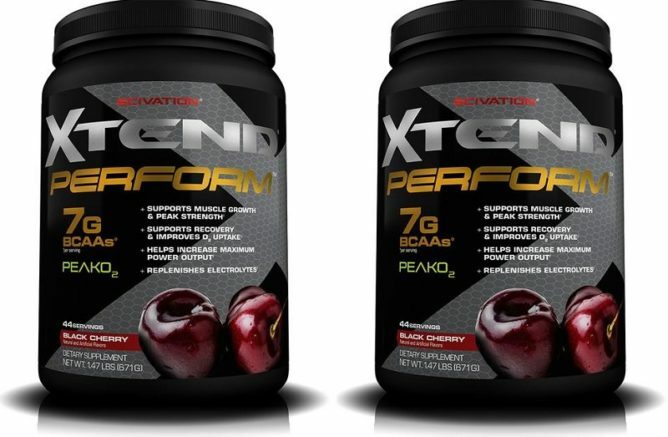 Scivation adds to the Xtend line with a protein powder that touts 7 grams of BCAAs per serving. The price is spot on, several flavors exist, and it seems like an overall great deal. However the one thing that we didn’t like, is that of those 7 grams of BCAAS – an undisclosed amount is actually derived from natural quantities in the whey protein itself. 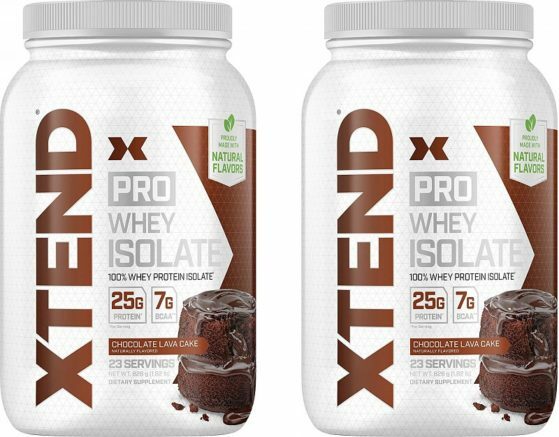 While below the standard nutrition facts, Xtend Protein lists 7 grams of BCAAs, there are asterisks galore and the first ingredient is ‘from whey protein isolate’. This makes us not actually trust what we’re being sold. Bottom line: If you’re already buying your BCAAs with Scivation, why not top up on your protein while you are at it? Its inexpensive, tastes fantastic, and just makes sense. However, if you’re hopping on the Xtend 100% whey protein band wagon for an extra 7 grams of BCAAs per scoop… Sorry friend, it doesn’t appear to be that way. 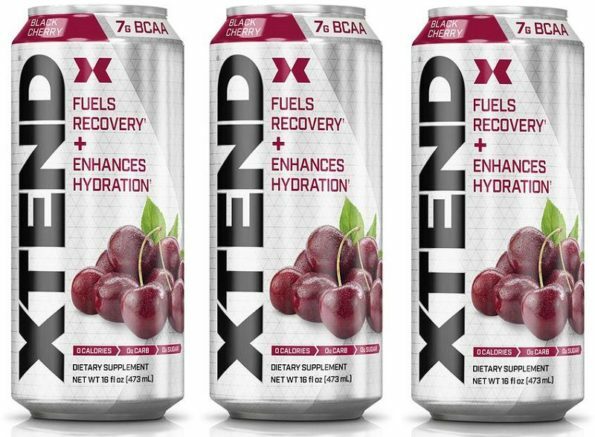 Final Verdict: Is Xtend the recovery brand of champions? 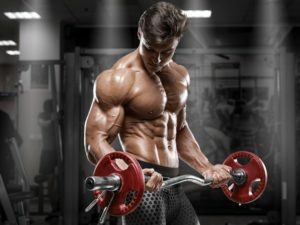 After reviewing every single Xtend BCAA product in canned, bottled, powdered, and protein form – we can say confidently that the Scivation brand has done their homework. They are clearly and concisely dominating the BCAA arena with cheaper prices and more value. The only thing that could turn off potential buyers is the use of artificial sweeteners, colors, and sometimes flavors.